Breanna Beach throws the ball to a teammate. 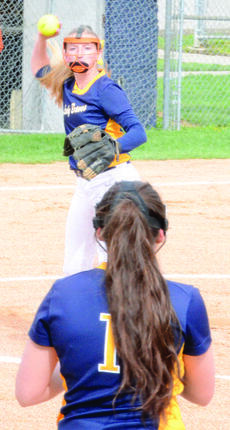 Ryle High School Lady Raiders invaded Grant County High on April 12 and carried home a 13-3 victory. The Lady Raiders collected 15 hits in 38 plate appearances against the Lady Braves.